This post is by Dr Şerife Tekin, Assistant Professor of Philosophy; Department of Philosophy and Religious Studies, Daemen College, and Associate Fellow; Center for Philosophy of Science, University of Pittsburgh, and Dr Jeffrey Poland, Visiting Professor; Science and Technology Studies; Brown University, and Senior Lecturer; History, Philosophy and Social Science; Rhode Island School of Design. Thank you for giving us the opportunity to provide some information about our book, Extraordinary Science and Psychiatry: Responses to the Crisis in Mental Health Research, published with the MIT Press in January 2017. We hope to introduce some of the main themes for the book here, and encourage the readers of the blog to join this important conversation on the philosophy and science of psychiatry. As evident from the intriguing posts featured in the Imperfect Cognitions blog, the last decade has been a very exciting time to be doing philosophy of psychiatry. With the recent developments in psychiatric science, philosophers have many opportunities to ask fundamental questions and contribute to scientific change. The fifth edition of the Diagnostic and Statistical Manual of Mental Disorders (DSM-5) was published in 2013, closely followed by the National Institute of Mental Health’s (NIMH) declaration of the DSM-5 as unfit for use in psychiatric research and its subsequent initiation of the Research Domain Criteria Initiative (RDoC) to spearhead such research. In addition, there are many research programs in psychiatry whose theoretical frameworks and methodologies transcend the boundaries of the traditional DSM-led research programs, including various types of research in neuroscience and genetics. 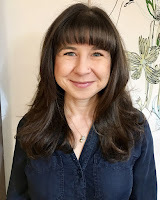 Accompanying these research developments are first-person accounts from clinical circles: those affected by mental illness are narrating their experience of mental disorder and psychiatric treatment, while clinicians are speaking of the limitations of conventional psychiatric research and treatment. Using the conceptual resources offered by history and philosophy of science, philosophy of mind, and ethics, philosophers are actively engaging with these developments, asking a wide range of questions about the nature of mental disorders, the validity and reliability of psychiatric diagnoses, methodological preferences in psychiatric research, criteria for good constructs, progress in psychiatry, the tensions between scientist and practitioner perspectives, and the morality of various treatment methods. With Extraordinary Science and Psychiatry: Responses to the Crisis in Mental Health Research, we aimed to quicken the pulse of philosophy of psychiatry by examining and responding to some of the most recent developments in psychiatric research. Our goal was twofold. On the one hand, we wanted to get philosophers’ reactions to the most pressing current questions in psychiatric research. On the other hand, we wished to provide a pedagogical resource to help scholars, researchers, clinicians, and other professionals understand and contemplate recent developments. We believe science cannot progress without philosophical examination. Philosophy helps scientists see the metaphysical commitments that might block scientific progress; it clarifies conceptual confusion and sheds light on controversy. Yet philosophical examination of practical and urgent problems such as mental disorder is empty without actively learning and engaging with the sciences studying them. Thus, our volume brings together scientifically minded philosophers, and philosophically minded scientists to examine foundational questions and research initiatives in psychiatric research. 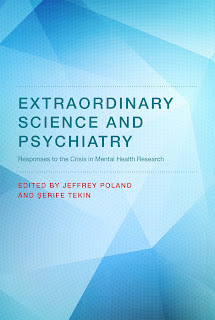 The core contribution of Extraordinary Science and Psychiatry: Responses to the Crisis in Mental Health Research to current debates is its construal of the contemporary climate of psychiatry as one of crisis and controversy. The probing of the problems of the dominant research framework of psychiatry (viz., the DSM by critics and institutions such as the NIMH), as well as the emergence of alternative scientific initiatives (e.g., the RDoC project and the work of various research groups) is suggestive of Thomas Kuhn’s characterization of periods of crisis that can arise in scientific research during “normal science” and of the “extraordinary science” that ensues in response to such periods of crisis (Kuhn 1962/1996, 77–91). Extraordinary science takes several forms in Kuhn’s view, which, we believe, are mimicked in contemporary psychiatry. Consider a few of these here: (1) attempts to shore up and defend a reigning paradigm (exemplified by the American Psychiatric Association’s insistence that the DSM-5 is a potentially useful research framework given its new organizational structure; American Psychiatric Association 2013, 10), (2) attempts to isolate and probe anomalous research results encountered during the “normal science” period (exemplified by research aimed at explaining the heterogeneity of diagnostic categories), (3) the loosening of standard forms of research practice (exemplified by the NIMH’s RDoC initiative which eliminates the necessity of using DSM diagnoses), and (4) the exploration of alternative research frameworks (again exemplified by the NIMH’s RDoC initiative as well as the work of various research groups). Kuhn also emphasizes another feature of this stage of research: namely, the turning to philosophical analysis for an identification and evaluation of the constitutive frameworks of research programs and the exploration of their foundational assumptions (e.g., identification of questions and problems deemed important by the scientific community, analysis and evaluation of constitutive concepts and assumptions concerning the domain of research, and analysis and evaluation of various substantive and methodological assumptions that structure research practices). 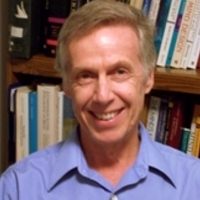 Following Kuhn, we suggest that the current crisis in mental health research provides an important opportunity for a critical examination of the foundations of research in this area and that such philosophical analysis is a crucial component in efforts to effectively respond to, and perhaps overcome, the current crisis. It is especially called for because of the nature of the domain of scientific investigation (viz., mental illness) insofar as this domain is (1) causally complex (e.g., processes involve multiple dimensions, hierarchical organizations, dynamic interactivity spanning numerous levels of analysis, context sensitivity, etc.) and (2) concerned with physically embodied human agents with a personal perspective who are embedded in sociocultural contexts. Such factors complicate both the research agenda and the application of research findings in practical (e.g., clinical, educational, social) contexts. This is especially the case for (2) since, although the sciences are well equipped for tackling problems of causal analysis, they are not as advanced and well equipped for dealing with either the personal or the sociocultural dimensions of mental illness. Arguably, given (2) and the social and personal significance of mental illness, a special premium should be placed on pursuing scientific research agendas that are compatible with maintaining an important focus on personal perspective, agency, and sociocultural context. In their chapters, our contributors have addressed these issues and challenges in a variety of ways. Bluhm and Machery consider the ontological status of mental disorders and the nature of evidence. Pouncey, and Hoffman and Zachar ask if the RDoC is an effective response to the crisis. Poland and Frank, Kotsko and Bickle, Cratsley, and Cooper look at other research practices in contemporary psychiatry, including computational, individualized, mechanistic, and user-led research, and evaluate their ability to respond to the current crisis. Bentall, Tekin, and Kincaid focus on how the crisis influences research on specific mental disorders (schizophrenia, MDD, BPD). Finally, Flanagan and Graham reexamine the metaphysical assumptions that blur the line between normal and abnormal. Overall, the chapters draw special attention to concerns about how psychiatric research can be both scientific and adequately focused on persons.